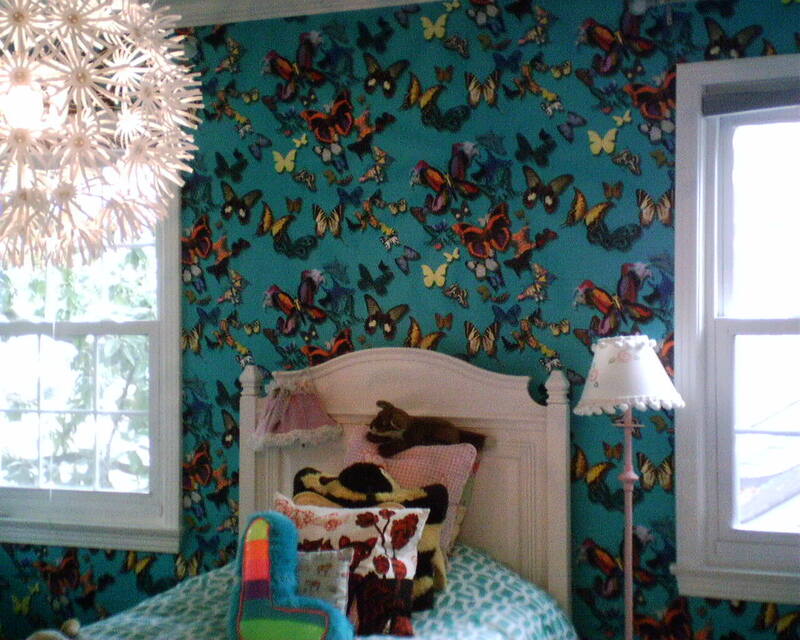 This wallpaper – a riot of color and fluttery wings – really popped on an accent wall in a 12-year-old girl’s bedroom, in the Garden Oaks neighborhood of Houston. 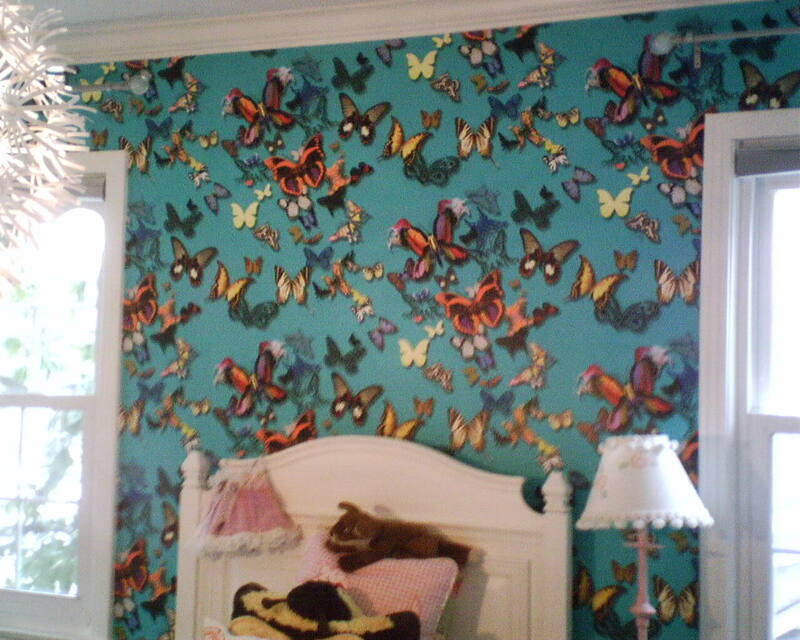 This entry was posted on February 21, 2014 at 6:43 am and is filed under Uncategorized. You can follow any responses to this entry through the RSS 2.0 feed. You can leave a response, or trackback from your own site.